Increase your knowledge about Christmas music with this lavishly illustrated history about the origin of carols from the 13th to 19th centuries and the fascinating stories behind 25 favorite carols. Experience the color of magnificent works of art by Rembrandt, Botticelli, Peter Paul Rubens, Edward Burne-Jones, Fra Angelico, Jan Steen and other famous artists. Enjoy the classical sounds of Joy to the World, Silent Night, Adeste Fideles, O Tannenbaum, Hark! The Herald Angels, Deck the Halls with Boughs of Holly,and other best-loved carols performed by world renowned choirs and orchestras, such as the Vienna Boys Choir, The Philadelphia Orchestra, Mormon Tabernacle Choir, and the Royal Philharmonic Orchestra & Chorus. Part of the planned ground-breaking series of Christmas music products titled THE MILLENNIA COLLECTION,this first volume helps to explain in part the development of Christmas music since the early centuries of Christianity. Learn about the evolution of the Christmas tree from the days of the Roman Empire, the significance of the holly and the ivy, the remarkable tale of Silent Night,and more interesting facts about Christmas. Participate in a favorite holiday pastime of carol singing with an easy-to-use Songbook and its stylishly designed music scores. A nice touch for home enjoyment. 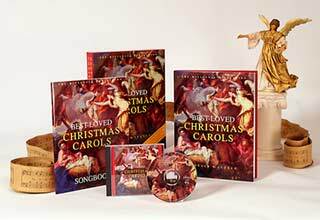 Here's an opportunity to own one of the most important collections of Christmas carols, one which combines History, Art, Carol and Song Lyrics, and Music CD in a creative package. you won't want to give it away!" - What Child Is This? Delightful collection of images, many in full color, including magnificent Fine Art from the Western World, including works by Fra Angelico, Rembrandt, Botticelli, Peter Paul Rubens, Edward Burne-Jones, and Jan Steen, and illustrious Christmas cards from the Victorian Era, ancient manuscript illuminations from a Book of Hours, stained glass works, and images from reputable periodicals of the age. Lyrics of all carols and holiday songs. 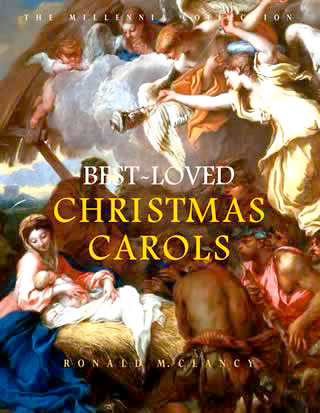 Sensational CD of 25 Favorite Carols. One of the most sumptuous Christmas music gifts, and enjoy this first volume from THE MILLENNIA COLLECTION: Glorious Christmas, Music, Songs and Carols, a groundbreaking series of special Christmas music products planned for future release, and increase your knowledge about Christmas music.